because your smile should light up a room! We are a new dental clinic located in the heart of Evanston, Calgary Northwest. We are conveniently located across the street from Sobey’s, beside the Tim Hortons. The goal of our dentist in Calgary NW is to create a fun, caring, and professional atmosphere where you feel welcome at our dental office. We are a family dental practice catering to patients of all ages. Hassle-free dentistry is what we are all about, that’s why we direct bill insurance on your behalf. 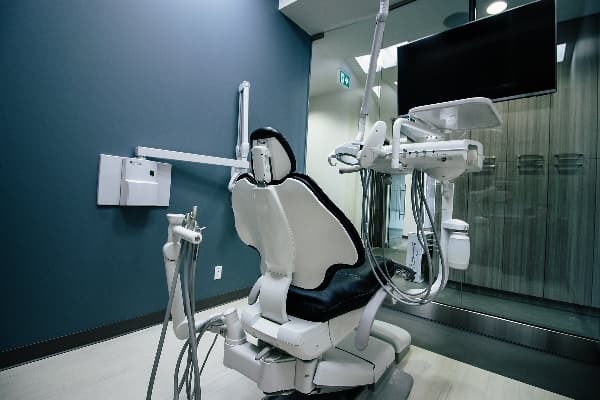 Our dentist offers a wide range of dental services in Calgary NW tailored to your needs, as well as a friendly attitude, inviting office and all the little details that make every visit special. We are accepting new patients to our office and greatly welcome all referrals. Whether you are a current patient of our office or a new patient, we are always ready to help treat your dental emergency. Whether it’s a simple cleaning or a complex full mouth reconstruction while under sedation, we can help you keep and maintain great oral health for life. We directly bill all insurance plans for smooth and easy payment transactions. We provide convenient hours so that your dental needs can be met on your schedule. We follow the 2018 Alberta Fee Guide so you can be sure that our prices are reasonable. At Parkway Smiles Dental, we won’t try to sell you on services that are unnecessary. With regular preventive visits, we can often help you avoid having expensive dental issues in the future. We would instead like to help you avoid those problems before they start. Our goal is to help you maintain your good oral health and retain your teeth for your whole life. To see a full list of prices, see the 2019 Alberta Dental Association General Practitioner Fee Guide. Your finances should not stand in the way of your oral health. To help keep dental care affordable for all our patients, Parkway Smiles Dental has partnered with Pay Bright Financial Services to offer flexible financing to our patients. We offer a range of dentistry services to fit your needs along with a friendly attitude, inviting office and all the little details that help make every visit special. Our Evanston NW general dentists at Parkway Smiles are here to provide dental care services to patients, from kids to adults. We assist you and your family to make your dental goals happen. We help you stay proactive about caring for your dental health. A child’s first visit to the dentist should be enjoyable. Children are not born with a natural fear of the dentist, but they may fear the unknown. Our office makes a special effort to give your kids a enjoyable and stress-free time. Whether you are looking to make your smile dazzle with veneers or looking to reduce wrinkles, and frown lines, we can help. Sedation Dentistry can make your dental appointment worry-free and easy. We offer both laughing gas and oral sedation. Created in 1999 by Align Technology, Invisalign seeks to renew your confidence in your smile. Invisalign makes this possible with the help of smooth, safe, and comfortable plastic aligners. These aligners use gentle pressure to move teeth into the right place. Aligners are custom-made for you to replace every two weeks. The process continues until you have achieved the results you want. One of the most important preventative tools we have to offer is that of Dental Hygiene Therapy. Our Dental Hygienists will spend time getting to know you and your mouth, providing you with the tools and knowledge you need to maintain your best oral health.